God has brought us this far, providing for us daily. How many times we have been at the crossroads! How many deliverances He has provided! Many times we can compare our journey to the travels of the Israelites from Egypt to the promised land. We read in Nehemiah 9:15 of God’s provision for them: “Thou gavest them bread from heaven for their hunger, and broughtest forth water for them out of the rock for their thirst.” Nehemiah 9:15. 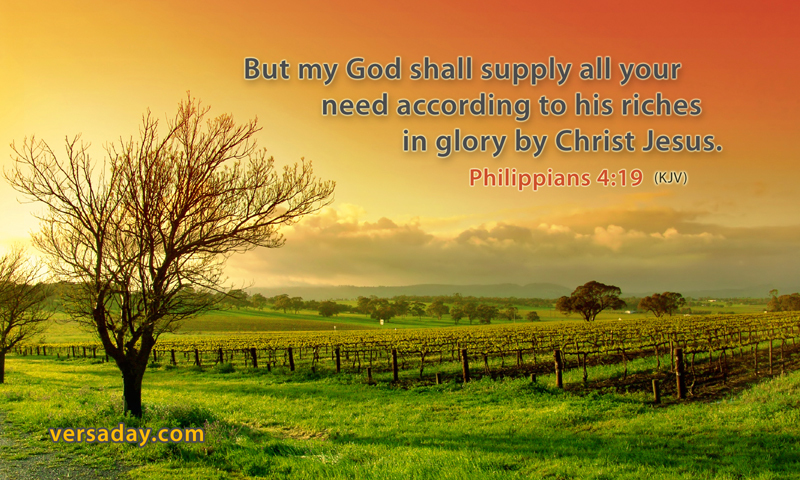 Notice the manner of God’s provision for our needs. It is according to His riches. He does not have to carefully measure out to us as though there were barely enough. “My Father is rich in houses and lands, he holdeth the wealth of the world in his hands.” Thank you Father for the daily provision of all my needs. Amen.